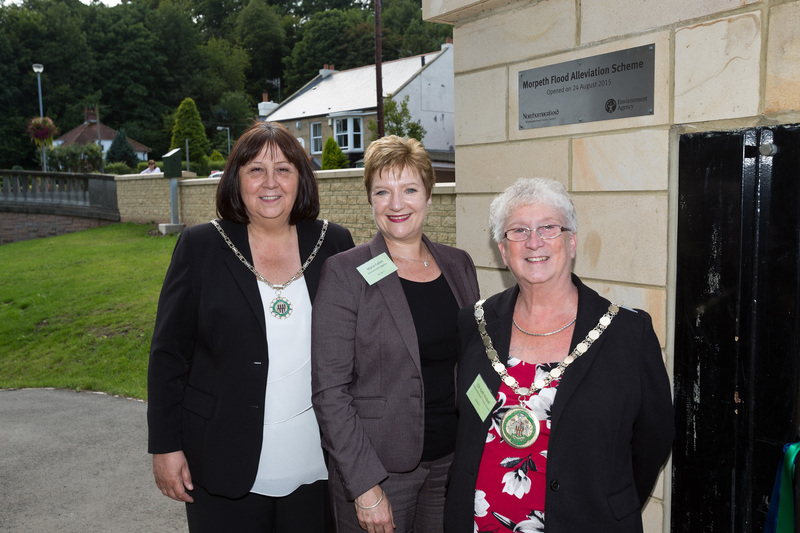 After two years hard work and £26 million, hundreds of residents turned out to see the official opening of the Morpeth Flood Alleviation Scheme. 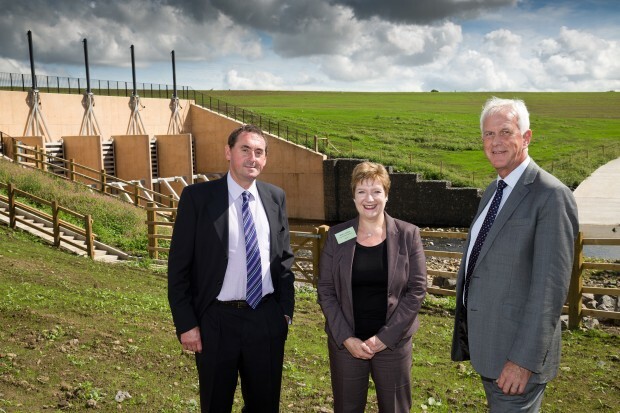 As the Area Manager for the North East I was immensely proud to welcome the Civic Head of Northumberland County Council Kath Nisbet and Environment Agency chairman Sir Philip Dilley to Morpeth, to open the new flood scheme. For those who've never been to Morpeth, it is a picturesque town in Northumberland, about 30 minutes north of Newcastle. In 2008 the town made national news for the wrong reasons when it experienced the most severe flooding event in its history. Over a month’s rainfall fell in 24 hours leaving over 1,000 homes and businesses flooded from the River Wansbeck. 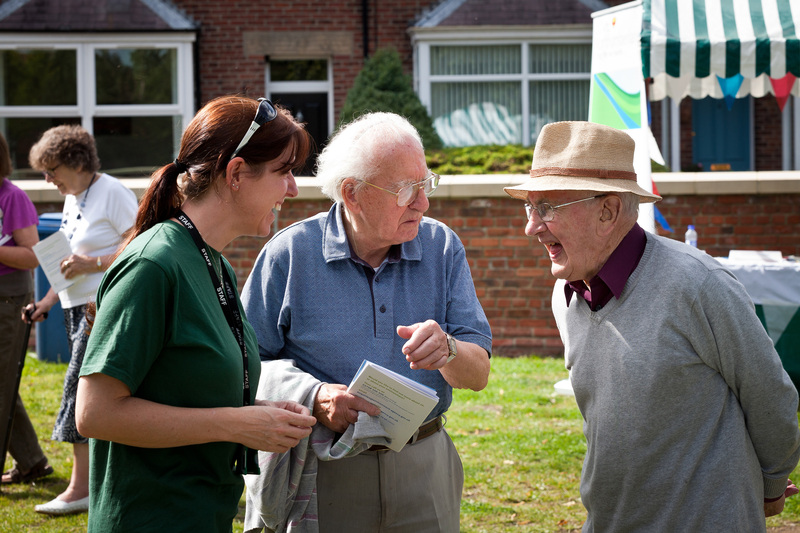 Local residents speaking with a member of our Environmental Analysis team. I was moved yesterday to see the community, which has been so affected by flooding, come out in force to watch the opening of the new defences. People from all walks of life, the young and the old all turned out. 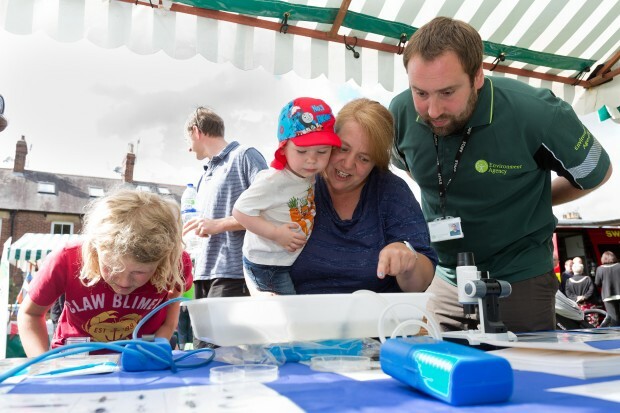 Children took part in basket weaving, families enjoyed picnics and people met our Flood Risk teams. The day was the great community event we wanted it to be, to mark a big step forward for the town of Morpeth. I would like to thank a number of our key partners, contractors Balfour Beatty, consultants CH2M Hill-Halcrow, Ryder Landscape, Northumbrian Water, Northumberland County Council and my very own Environment Agency staff. The dam limits the flow of water into the Wansbeck. Here I am with Environment Agency Chairman Sir Philip Dilley (left) and Environment Manager Alan Cadas (right). Finally a big thank you to the people of Morpeth, for your patience, perseverance and cooperation throughout the scheme.